Just a few days before the floor-test in Uttarkhand, a new sting has emerged claiming fresh allegations against the depose chief minister of the state, Hairsh Rawat. A Congress lawmaker, appears like Madan Bisht, was shot levelling serious cash-for-votes allegations againt the deposed Uttarakhand CM. However,, Catch cannot vouch for the credibility of the sting. The timing of sting's release is also important as it comes a day before the Lok Sabha is going to discuss the budget for the state. Also, the floor-test is also scheduled on 10 May, just two days after the release of the second sting. 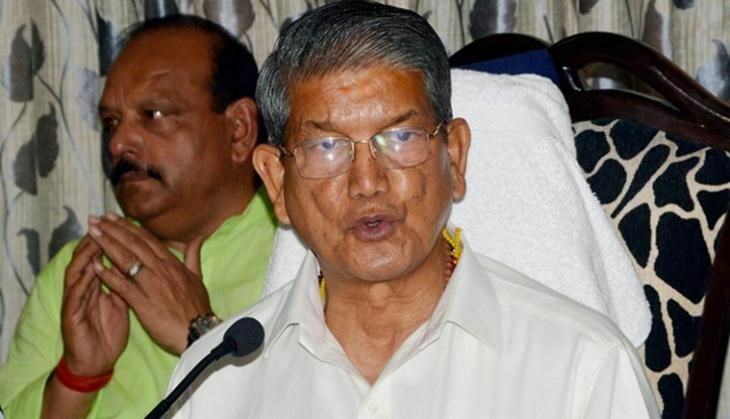 Reacting on the sting videos, Harish Rawat said, "the Bharatiya Janata Party (BJP)-led Centre government is spreading divisive politics in the state." "We will begin a campaign again the these blackmailers after the floor-test, scheduled on 10 May," he added. Rawat said that his MLAs are receiving threats those who are posing as well-wishers and relatives. "I am being put under surveillance as if I am an anti-national leader," the deposed Uttarakhand CM said. It was the second sting in last few months against the Congress leader. The earlier one has alleged of Rawat had indulged in horse-trading Congress rebels. The BJP had presented the first sting as a key evidence of "constitutional crisis" to justify the demand of President's rule in the state. The Supreme Court has suspended the President's rule for two hours on Tuesday for the trust vote in the Uttarakhand Assembly. The apex court has also disqualified 9 rebel Congress lawmakers. Now, Harish Rawat needs the support of 32 MLAs to prove majority in the assembly.